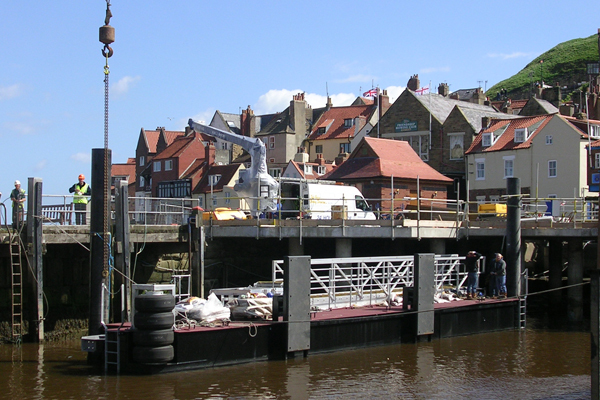 The final gallery page in a series which I have created around the removal of the station that had served Whitby for so long and its eventual replacement with a very impressive state of the art station. Seeing the old station house (pictured right) dismantled and removed marked the end of an era it did however mark the beginning of something new. 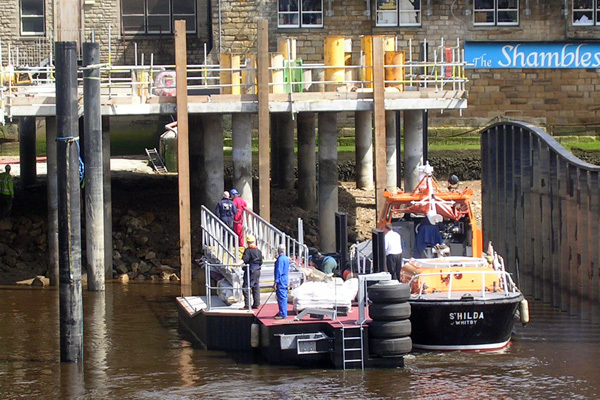 The lifeboat pontoon launched at the wharf and brought to the station location by the pilot boat, a former lifeboat itself. 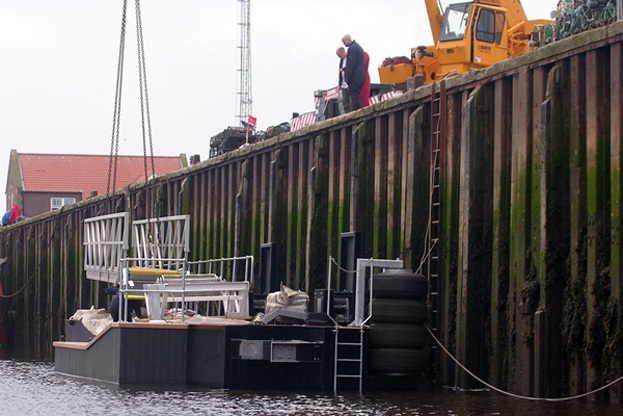 The new pontoon would allow safe berthing of the lifeboat and an easy access for the crew as opposed to the vertical ladder used before the station upgrade. Although the station became operational in August it was was officially opened by HRH Duchess of Kent in September 2007. 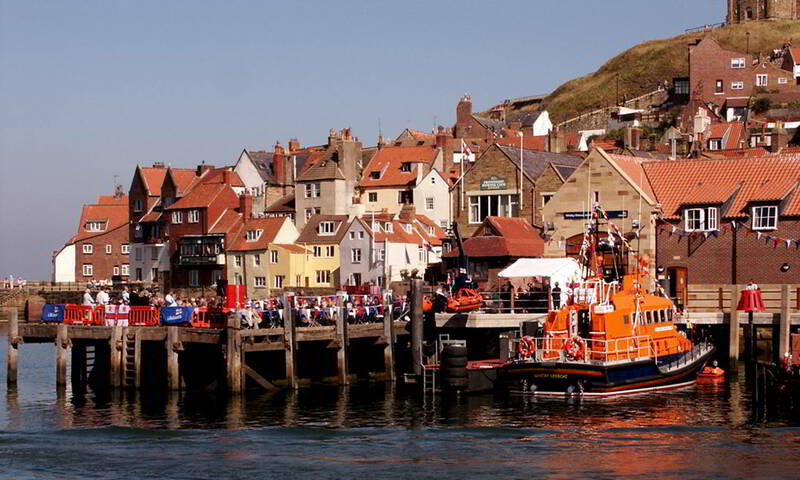 The Duchess of Kent has a long affiliation with the RNLI in Whitby, having named the station’s last three lifeboats. The new station is without doubt one of the most up to date RNLI facilities on the east coast and includes an inshore lifeboat house, crew changing facilities, a training room, office and kitchen. 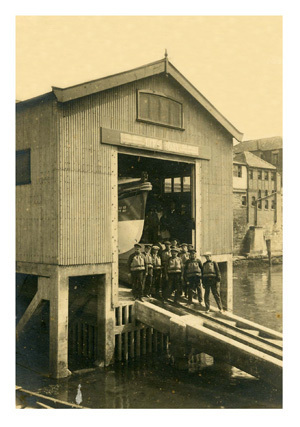 I have borrowed the photograph below from gallery pages I have related to the official opening of the station, which completes the story. 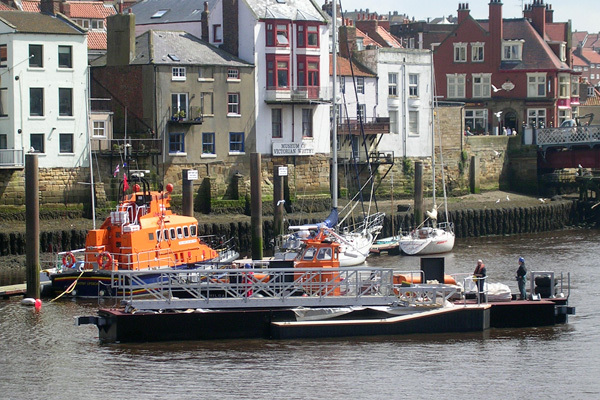 The five gallery pages which present a selection of photographs attributed to the official opening of Whitby Lifeboat Station can be accessed using this link. The following buttons link to the other gallery pages.